The DI wants to recognize our partners in labor (AFL-CIO, AFSCME, AFT, APWU, CWA, SEIU, and others), AFGE and NFFE, many of our coalition partners, and the air traffic controllers staging sickouts, for leading the fight to end the Trump shutdown and re-open the federal government. Many people outside the labor movement predicted that the Janus decision would be the death knell for organized labor, but workers once again have proven that there is strength in solidarity; in fact, union membership and organizing wins have been on the rise since the Janus decision. Over the past month, we have been proud to stand in solidarity with government workers, their families, and our allies. Over the holidays and through the month of December, DI partners rallied and marched in the freezing cold, sent emails, made phone calls, and put their own bodies on the line to risk arrest. Ultimately, President Trump caved, providing a three-week reprieve, but no long term guarantees. We may have won in the near term, but we recognize this fight is far from over. More than one million federal contract workers lost a month of paychecks during the longest government shutdown in history and now, they should receive the back pay they deserve. This legislation would ensure back pay is granted up to a maximum of $1,400 a week. Click here to call your representatives and urge them to support back pay for our federal contract workers! This week, we're sharing 3 toolkits, courtesy of the Defending Rights & Dissent Network, to use in defense of our rights to protest and demonstrate—rights crucial to our work as champions for democracy. Anti-Protest Bills and the Targeting of Social Movements deals with anti-protest bills broadly. 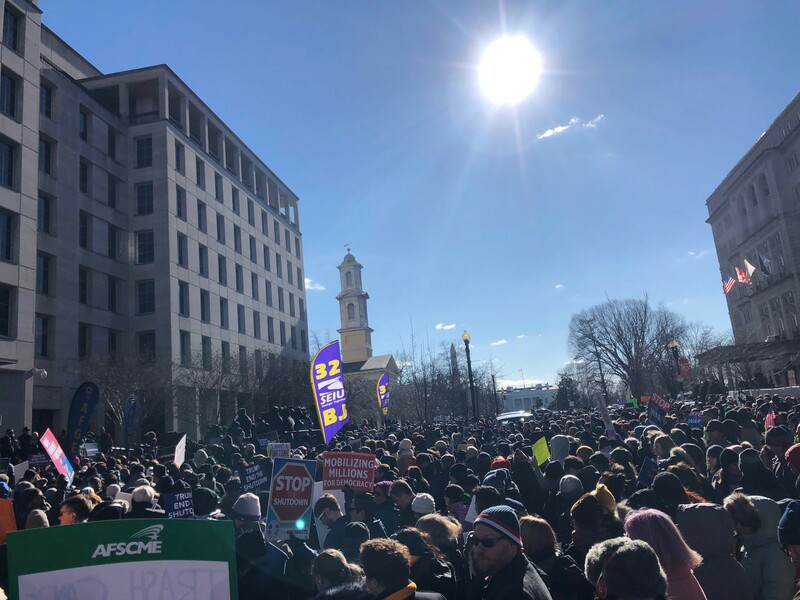 It will help activists faced with everything from bills designed to create new penalties for blocking traffic to bills removing liability from drivers who hit protesters. Anti-Boycott Bills and the Targeting of the Palestinian Solidarity Movement is a resource to defend the right to boycott. Anti-boycott bills single out supporters of Palestinian rights who boycott Israel to be uniquely penalized. The right to boycott is a fundamental First Amendment right and these bills are flagrantly unconstitutional. Critical Infrastructure Bills and the Targeting of Anti-Pipeline Protests will help activists who are fighting bills that create heightened penalties for protest at or near pipelines. They are pushed by industry groups and the notorious American Legislative Exchange Council and are clearly designed to silence the vibrant social movements opposing pipelines that have have gained strength across the country. 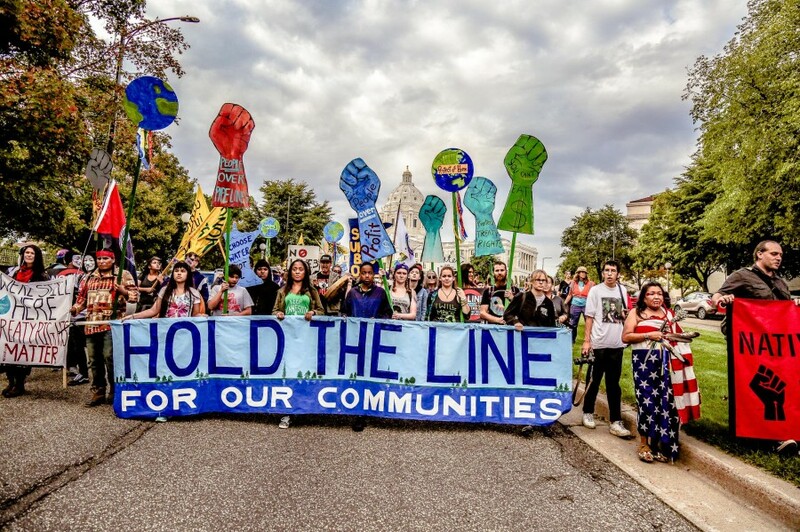 Speaking of Anti-Pipeline protests, our partner Sierra Club needs you to take action against the Line 3 Tar Sands Pipeline, to be built through 212 bodies of water by the company behind the biggest inland oil spill in U.S. history. We cannot allow fossil fuel interests to criminalize protests defending our environment, water rights, and Indigenous lands! We want to recognize Common Cause New Mexico and other coalition allies for their tireless work advocating for democracy reform. Last Friday, January 22, New Mexico lawmakers advanced two major voting rights bills on illustrating a growing nationwide trend as lawmakers are prioritizing the issue as the people fight for fair, just, and secure elections following the 2018 midterms. State lawmakers took a critical first step on Friday by moving HB 57, legislation that would completely abolish felony disenfranchisement, out of a key committee. The committee also passed an automatic voter registration bill. Eligible voters in New Mexico can already register when they apply for a driver’s license or another form of state identification. But the bill would make this process automatic by creating an “opt-out” process for those who don’t want to register to vote, instead of an “opt-in” process. On Tuesday, January 29, the House Judiciary Committee held the first of many hearings on H.R. 1, a package of legislation that contains many necessary, robust reforms designed to strengthen our democracy. Sherrilyn Ifill, President and Director-Counsel of DI partner organization NAACP Legal Defense and Educational Fund, testified in support of the bill. You can watch the entirety of the hearing, here. The next hearing is scheduled for February 6.